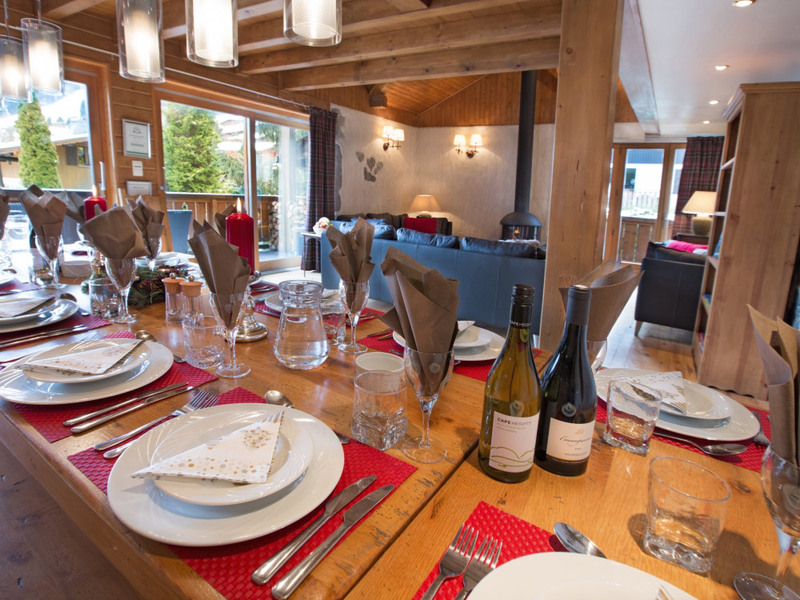 Chalet Aux Joux once an old farmhouse is now a luxury chalet with an excellent central location. 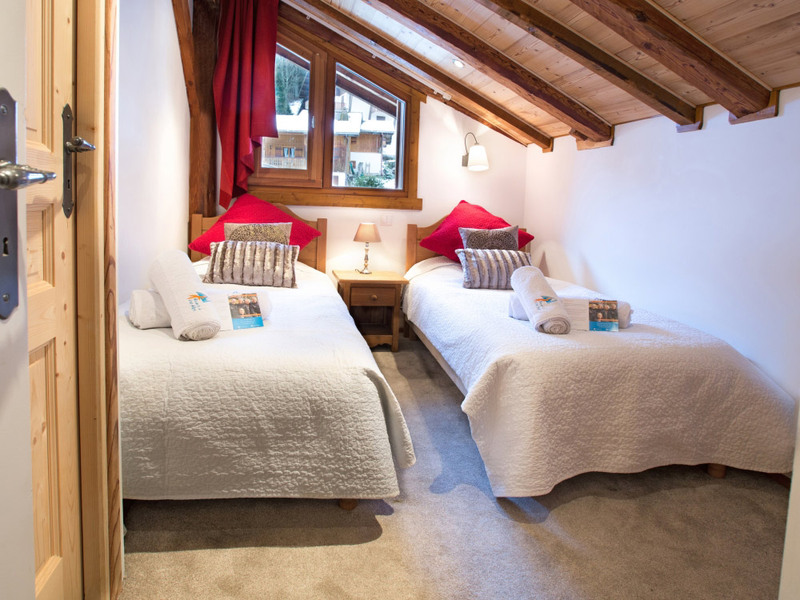 The chalet has been carefully thought out to provide guests with maximum comfort while retaining many of the original features, such as the timber beams and open fire. 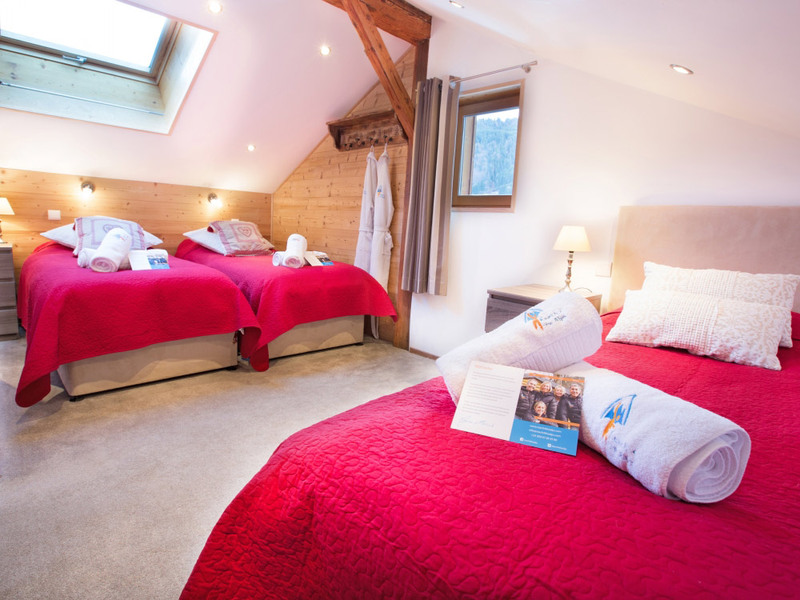 This spectacular chalet sleeps 12-13 guests in 6 spacious bedrooms. 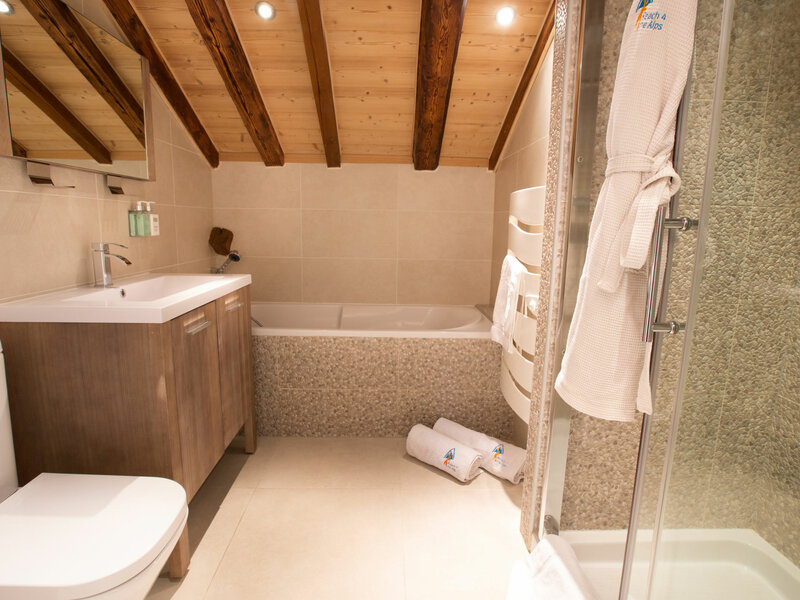 Five rooms have their own private facilities with full size baths with showers, the remaining twin bedroom has a private ensuite with shower. 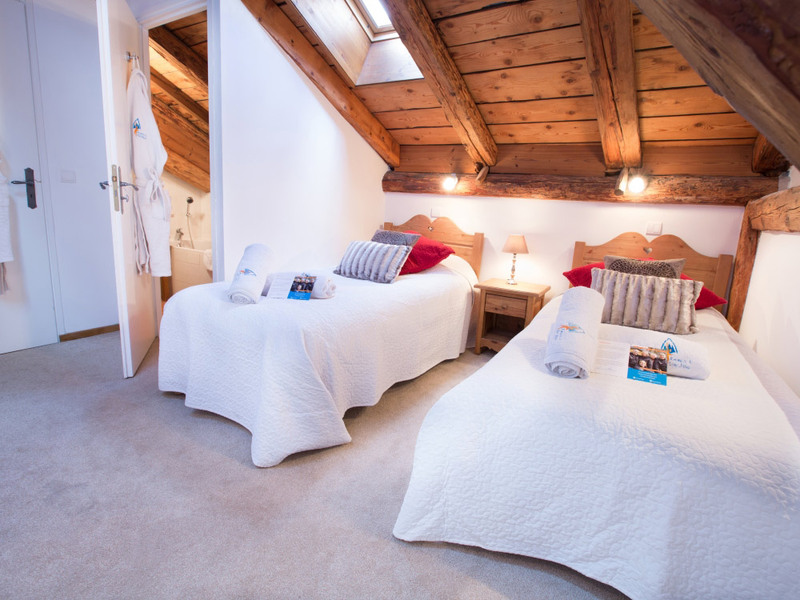 All the rooms are stylishly decorated, lovely and bright with large windows and have high quality fixings and furnishings. 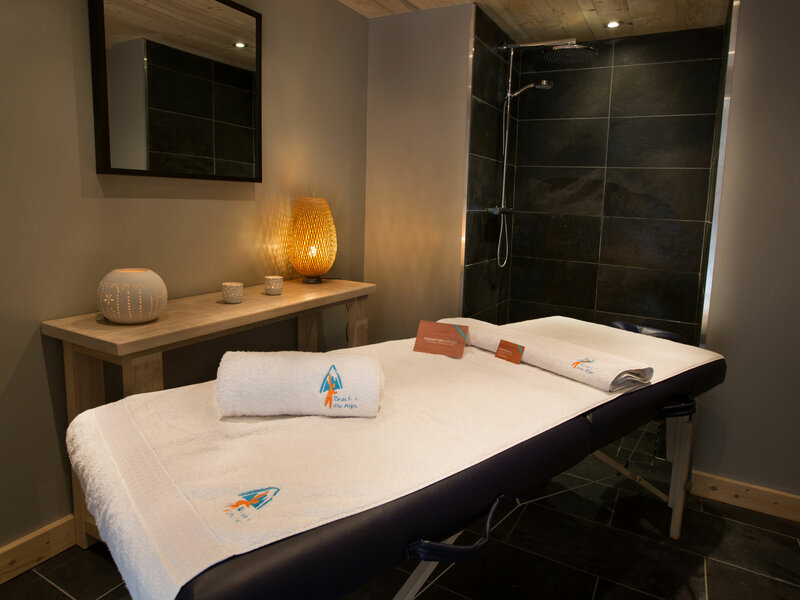 After a hard day in the mountains you can sooth those tired muscles in the sauna and Jacuzzi, we can even pre-book you a massage at the chalet. 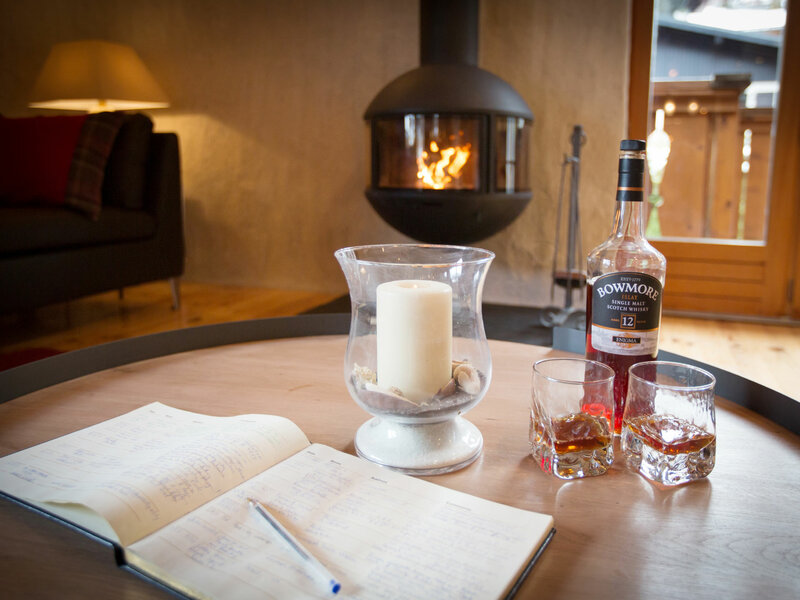 If making it as far as the Jacuzzi is too far then you can curl up in one of the sofas by the roaring open fire catching up on the day's events, or playing board games while enjoying a cuppa! 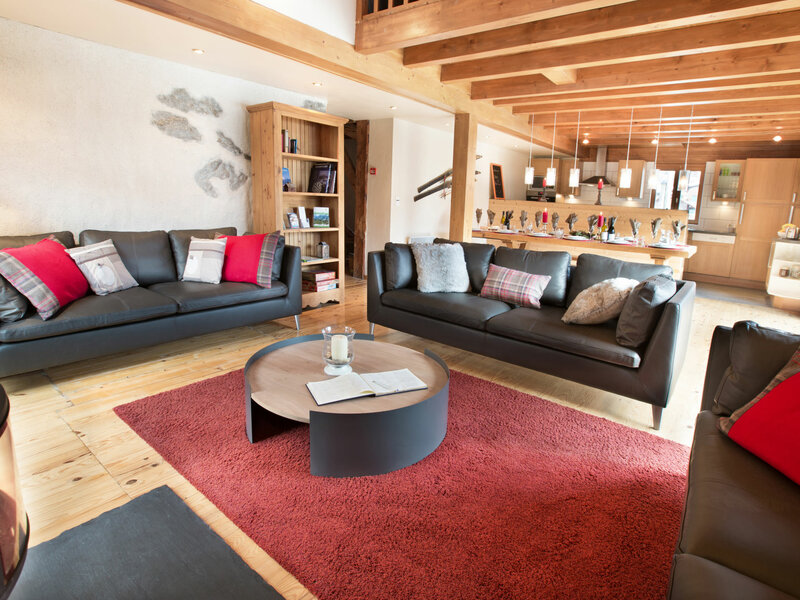 The chalet has lots of communal space with a games room on the second floor equipped with TV, DVD player, stereo and all the favourite board games. 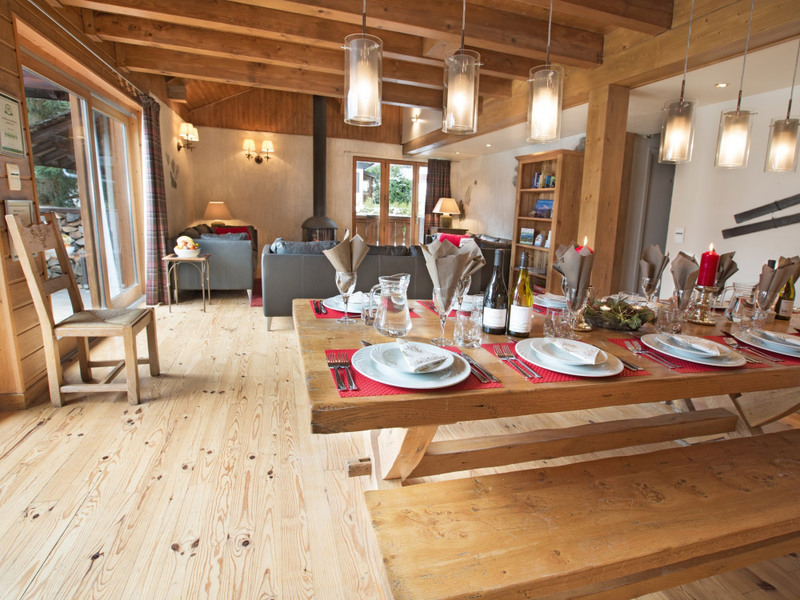 The first floor has a huge open plan sitting/dining room with a log fire, lots of comfy sofas to chill out on and a large dining table, from which you can enjoy magnificent views across Morzine. 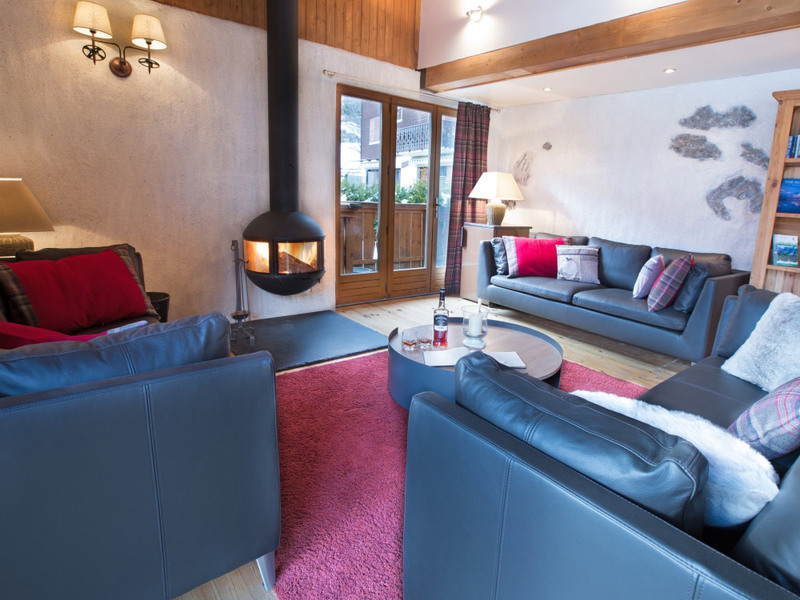 French doors lead off the sitting room onto a large terrace, from which you get a great view of Pleney, watching skiers and bikers make their way down the main run back to Morzine. 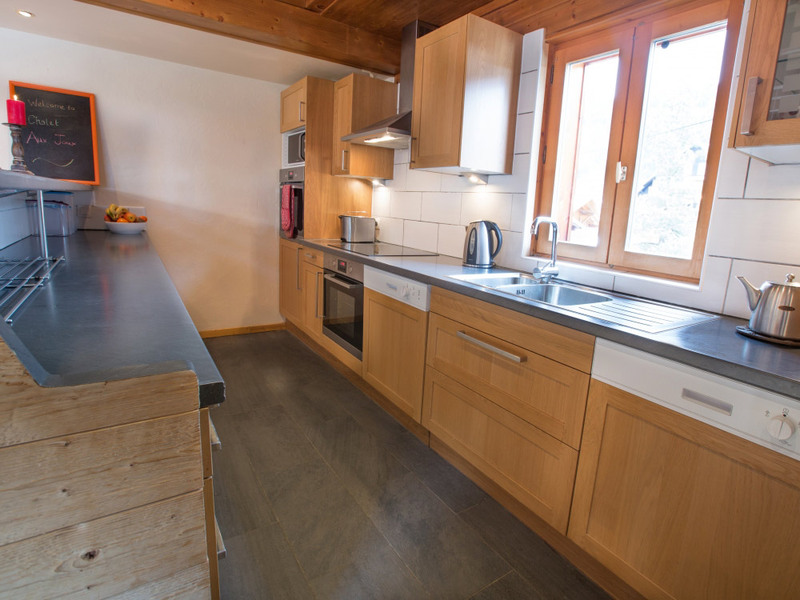 Chalet Aux Joux is located in a quiet street, 7 minutes walk from the main ski lifts of Super Morzine and Pleney. 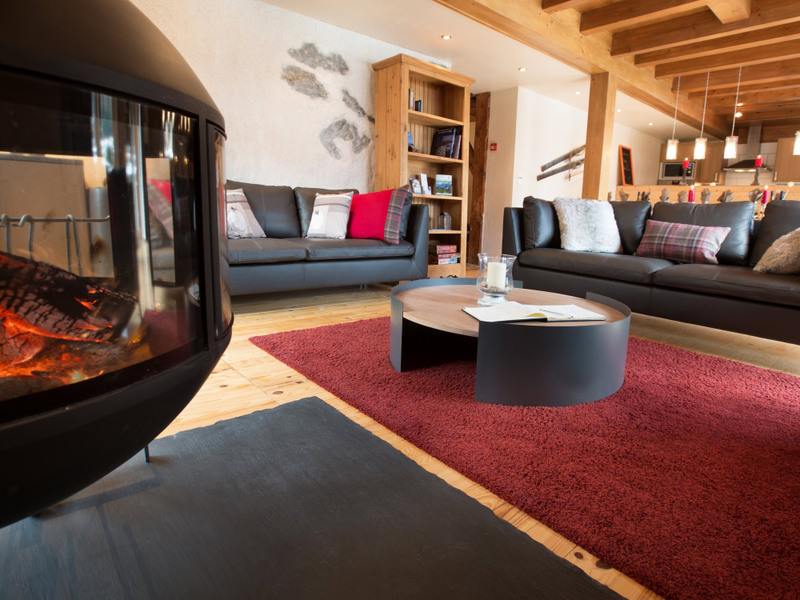 For the truly weary we offer morning and afternoon slope runs in a private mini bus but the free ski bus stops 50m from the chalet. Even better the nearest is bar is less than 2 minutes by foot from the chalet! 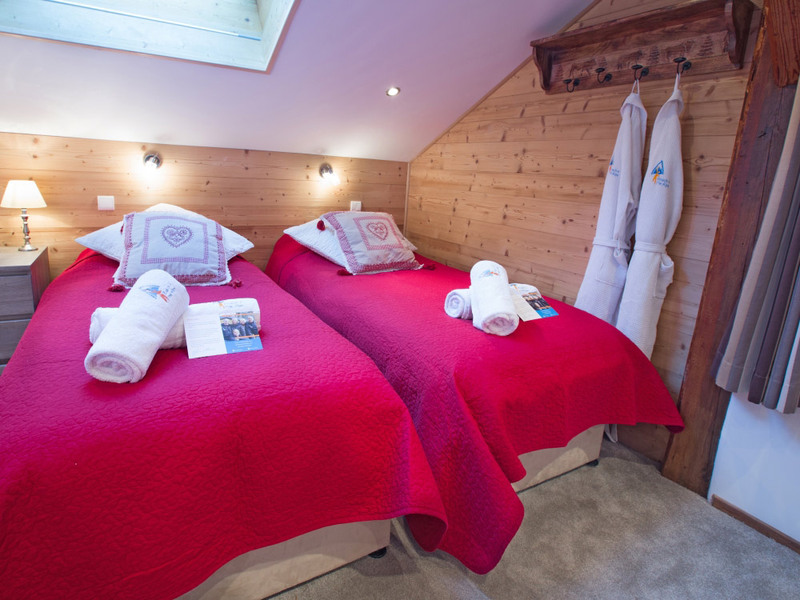 On the ground floor Chalet Aux Joux has an entrance hall with heated boot warmers and ski storage, a drying room for wet gear and a communal toilet and shower/massage room. 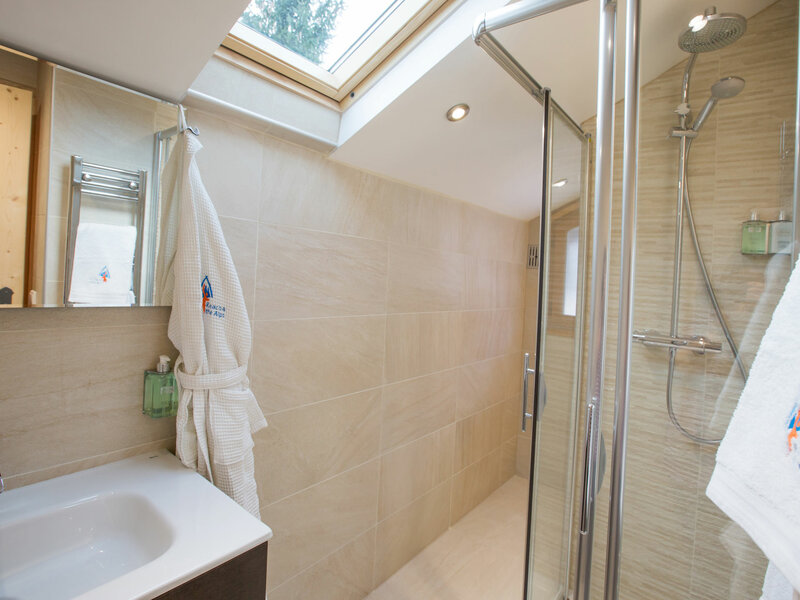 On the first floor there is an open plan kitchen and dining/sitting room with large sun terrace and 4 ensuite bedrooms. 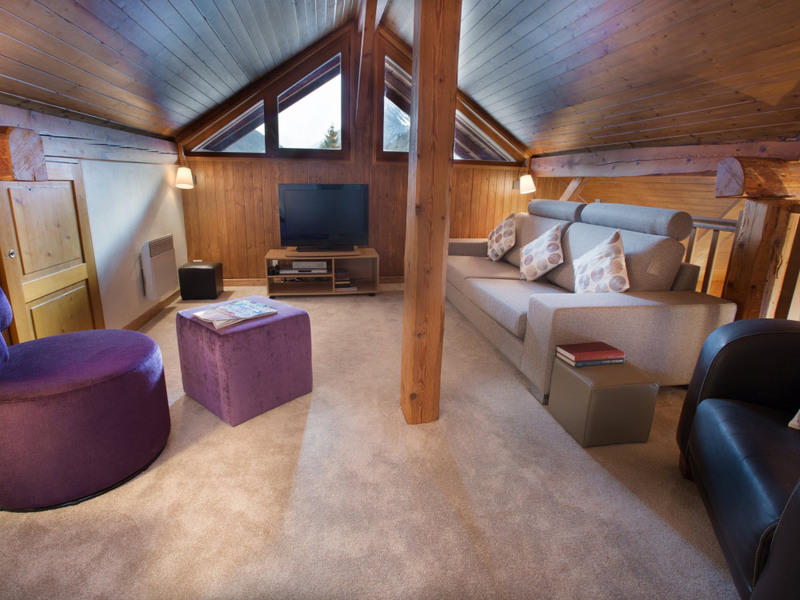 On the second floor there is a mezzanine with TV and sofas and 2 bedrooms, one twin/double and one triple, both are ensuite. 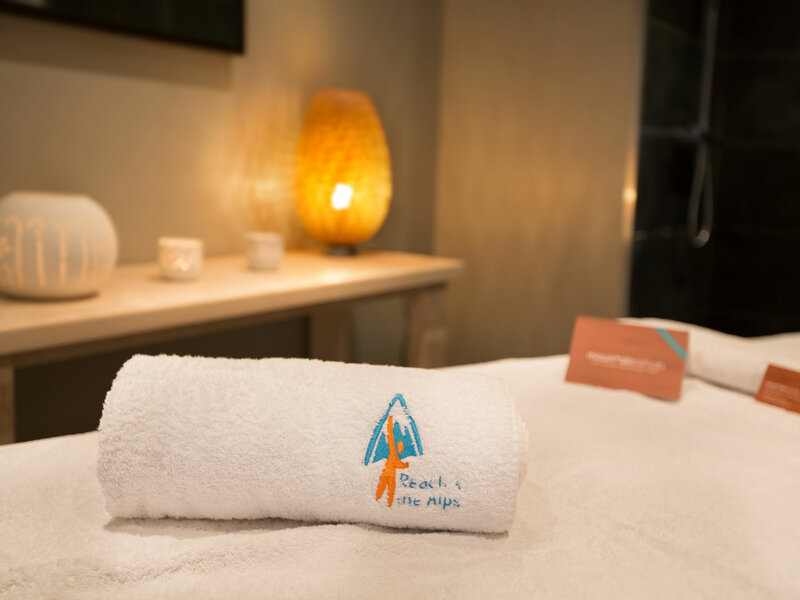 Reach4thealps has been established for 15 years and we've won an award for our customer service so you can be sure you'll be looked after throughout your stay. We can also organise ski passes for you in the winter and multipasses for you in the summer. Just ask at the time of booking for more information. Reach4thealps has its own fleet of drivers and modern vans and can provide airport transfers to and from Geneva. Let us take all of the stress out of arranging your holiday by getting you to and from resort with our door to door service. Please enquire for prices at the time of booking. Prices are in Euros. If you prefer to pay in sterling this is possible. 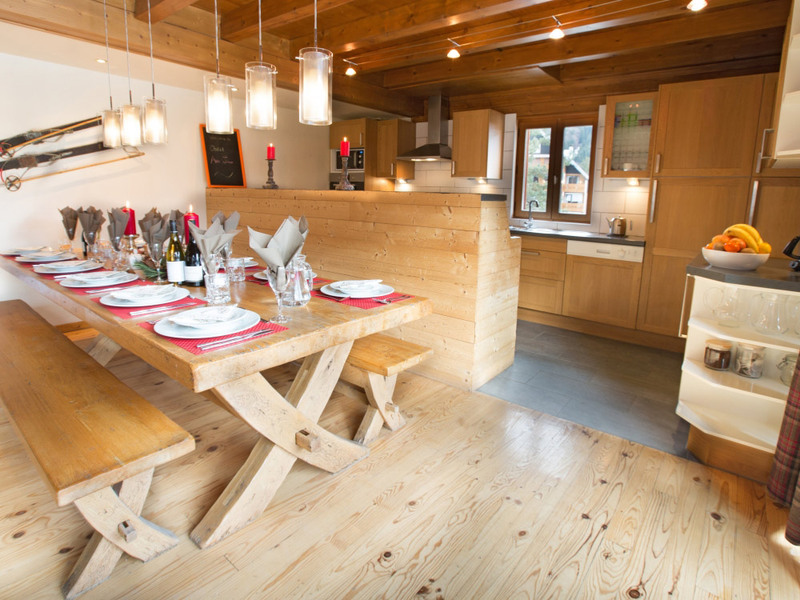 Summer prices are for the whole chalet on a self-catered basis. Winter prices are on a catered basis. 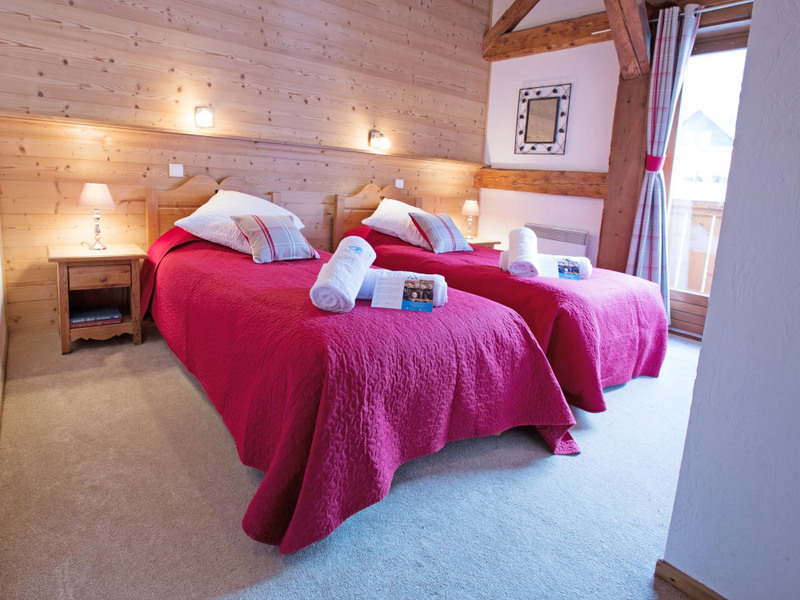 In the winter you can either book by the room (price per person based on a min of 2 to a room) or book the whole chalet on a sole occupancy basis based on 12 guests. Each additional person (after the 12th person) is 450 euros per additional person (not applicable on special offer weeks). Child discounts are available if booking by the room for a week stay for children 12 years and under at time of stay and taking children's dinner. PLEASE ENQUIRE FOR CHRISTMAS, NEW YEAR AND HALF TERM PRICES. We have special offers, including 15% off New Year available.